However any genuine fan of the beautiful game would have to be bonkers to pass up the privilege of being able to watch the Gunners play live at present. When I think of how many miles I clocked up, following the “boring, boring” Arsenal’s far less enthralling former incarnation, I’m reminded that I mustn’t become blasé about the amazing adventures of Arsène’s current “scoring, scoring” side. Although in truth, we’ve been in such scintillating form of late and we’ve enjoyed such fabulous entertainment in the fifty-five goals the Gunners have notched up thus far, that as fans there’s a certain sense of wanting to “fill yer boots”, or a fear of missing out on something special – especially at away games, where there’s a greater chance of exploiting the space afforded by the home team’s increased ambitions. Doubtless those devout few Fulham fans (248!) who schlepped to Wigan at the weekend will have little sympathy, but after a long, hard week and with live coverage on the telly, without being able to teleport onto the terraces, it still takes dedication (and a good few quid!) to maintain one’s commitment to keeping the faith every single week. After a couple of mates confirmed that their match tickets had long since turned up, I somehow convinced myself that I’d also received mine. I’d torn the flat upside down three times before coming to the conclusion that my ticket had been gobbled up by the black hole in our gaff, which has a habit of consuming items only when they are most needed. As a result, potentially, I had a reasonable excuse for putting my feet up on Saturday, rather than face the prospect of missing much of the first-half, while queuing for a replacement ticket at the Molineux box office. A London postie might be a rarer sight than a ptarmigan at present, but to my astonishment two envelopes materialised in the letterbox on Friday morning, containing my tickets for Wolves and Sunderland. Despite a grovelling apology to my house proud missus, for any implication about her role in displacing my ticket along with all those odd socks, I’ve a feeling she’ll be feeding me humble pie from now until Xmas! I blame Cardiff’s Jay Bothroyd for my tardy departure, as I tuned into the Welsh derby. Along with the likes of Sidwell, Pennant and Shamrock Rovers’ Graham Barrett, Bothroyd picked up the FA Youth Cup at the Arsenal in 2000. With his ability, pace and power, Jay reminded me of Stan Colymore in his pomp. But as I departed Highfield Road after the first leg of that final, I recall seeing him hanging with his posse of flash pals, instead of returning to the team coach. Prima facie evidence perhaps of how easily young players are led astray before realising their potential. Looking back, this was perhaps the highpoint of that season, as my decidedly selective grey matter has managed to erase the majority of my unhappy memories of the trip to Copenhagen a few days later, for the UEFA Cup Final. 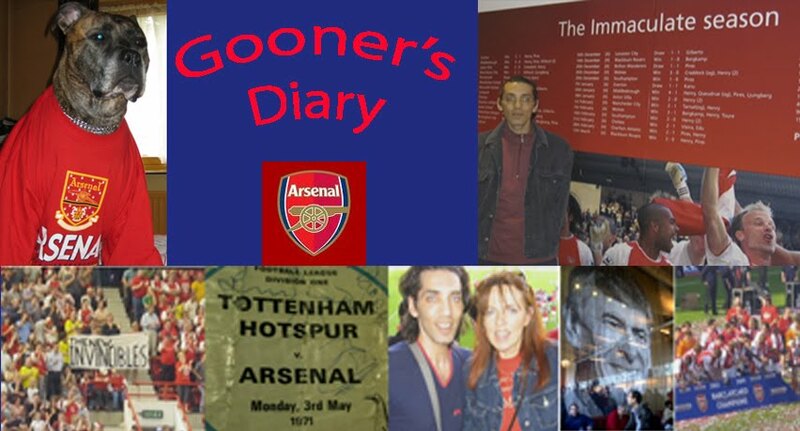 I certainly recall little of the penalty shoot-out defeat to Galatasary after grinding out a 0-0 draw, but with Gooners arriving at the game still rubbing their eyes, after having been tear-gassed earlier in the day, this outing probably only lingers in the mind because it was the last time we experienced any serious aggro. Contrast this to the present day, where the growing respect for our entertaining brand of Wenger-ball ensured that I felt a growing sense of pride, on the walk from the car to the ground on Saturday evening, as in their dour Midlands drawl, I overheard several locals expressing their admiration and their eager anticipation of seeing the Gunners play live. Nevertheless, Mccarthy’s side weren’t prepared to be merely ‘the Patsy’ for the visit of the Premiership’s Harlem Globetrotters, as they gave it a real go for the first 20 minutes. It wasn’t until they’d put the ball in the back of their own net that their belief began to evaporate. I’m also sure it was no coincidence that the game turned so soon after Wolves robust efforts to cramp our style, forced Diaby to limp off. The home side hardly had a sniff, once Song came on to assist Ramsey in shoring up our midfield. Molineux retains something of that ‘old school’ feel and as a dyed-in-the-wool traditionalist and someone who remembers the feats of the Derek Dougan side of the 70s, I’d be happy to see them cling to their top flight status (besides it’s a much shorter trek than Boro!). They might survive, if Mccarthy can inspire in his team the sort of heart and passion that we witnessed from the Wolves fans. 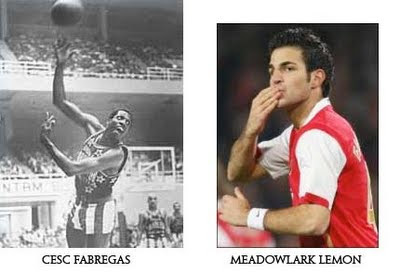 Despite the Gunners turning on the style, orchestrated by Fabregas, our very own Meadowlark Lemon, off the pitch we could take a lesson or two from the unwavering support of the locals. I can only imagine how empty our place would be, come the final whistle, if we were on the wrong end of this sort of drubbing, while the majority of those who lingered would be intent on expressing their disgust. It’s all too easy to whoop and holler while spanking the opposition, but it is showing your true colours, in trying to keep your side’s spirit up when things are going pear-shaped, which separates an ‘audience’ from genuine ‘supporters’. The Gunners third against Wolves, as the cliché goes, was worth the price of admission alone. But it might have been a different story all together if we’d not been aided and abetted by two own-goals. Meanwhile, as the tension builds towards Saturday’s crucial encounter at Croke Park, we can but hope that such good fortune favours Ireland and that it is the turn of Il Trap’s team spirit to triumph over Gallic quality? Great post again. Gotta give it up to the Wolves fans. They were simply sensational and deserved that consolation. I am an ardent fan of your diary. Thank you and keep up the good work. i salute your dedication, i realy enjoy your posts,long may they continue. Arsenalisation Process Soon To Be Completed? Champions League? You’re Havin’ A Larf!